Parenting is a challenging and intense time for many parents and feelings of overwhelm, exhaustion and stress are common. To support parents of young children, Avista Mindfulness offers regular half day Mindful Parenting workshops. 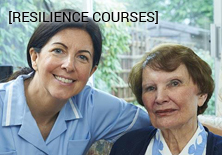 The workshops aim to give parents the skills to handle the pressures of a busy home life and to be more effective, calmer and happier parents to their children. Check our events listing for dates. Suzie Brown has also developed a dedicated mindful parenting program called Feed the Parent, which is delivered primarily online at www.feedtheparent.com. 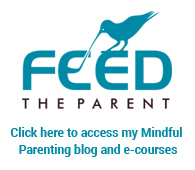 Here you will find her Mindful Parenting blog, e-books and online courses.